It’s the time of the year when fresh hop beers starting making their way to the shelves. If you aren’t familiar with what a fresh hop beer is, here’s a quick little breakdown. Fresh hop — sometimes called “wet” hop — beers only happen once a year, when hops are harvested in late August well into September. 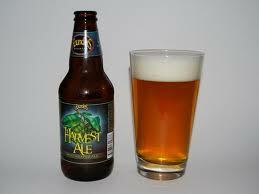 If I could recommend one for you to try this year, I would go with Founders Harvest Ale. Easily one of my favorite fresh hop beers and one I would like to keep stocked well into November. POUR: Golden/orange pour with a medium white head. AROMA: Grapefruit, orange, lemon, and pine. TASTE: Lots of citrus fruit, a bit of sweetness and then the hops take over. My recommendation: Fresh Hop beers are meant to be drank fresh. If you’re an IPA fan this is a must have and you have to get it soon! Terrific brew!